Volcano News, Adventure Travel, Photography, Film and Television Production. 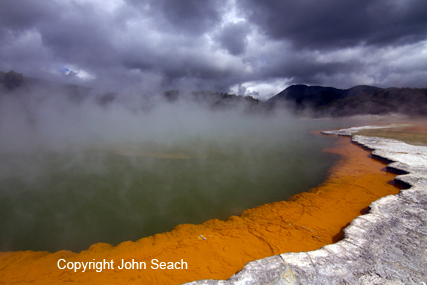 Volcano Live is an educational website providing information on active volcanoes, produced by John Seach. Volcanoes are the most exciting and powerful natural event on earth, and provide dynamic and varied landforms. 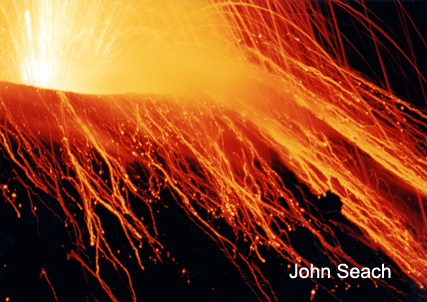 Every day there are about 20 volcanoes erupting on the earth. John Seach monitors global volcanism and provides an educational resource to the international community. Read about current volcano eruptions. There are more than 1500 active volcanoes in the world. 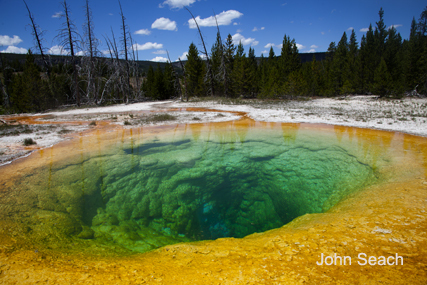 These have erupted in the last 10,000 years, and have a reasonable chance of erupting in the future. 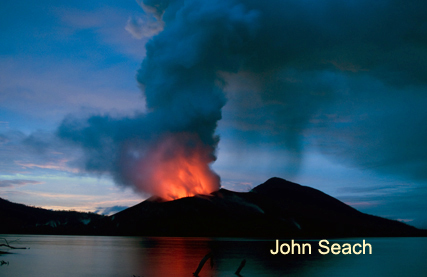 John Seach is a scientist and volcano adventurer. Over the past 33 years John has travelled to the world's most exciting volcanoes, and witnessed eruptions during trips to more than 200 volcanoes. 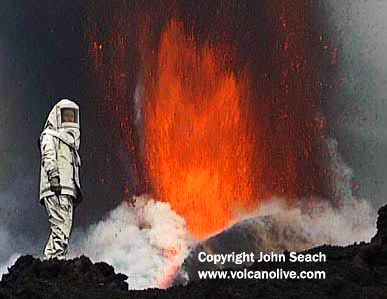 John Seach provides the world's leading volcano television production service. 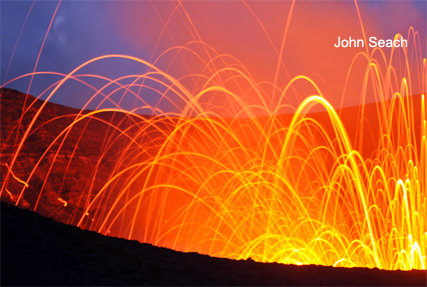 John provides high-quality professional services to the film and television industry, and explores, photographs, and films the world’s most exciting volcanoes.